Have you ever seen a crocus bloom in the snow? Crocus flowers amaze me. Their bulbs are so hardy that they produce blooms even in freezing temperatures. Their lovely purple or yellow faces open to the winter sun. Snow cannot hold them down. These flowers are reminders that new life is possible, even in an impossible environment. 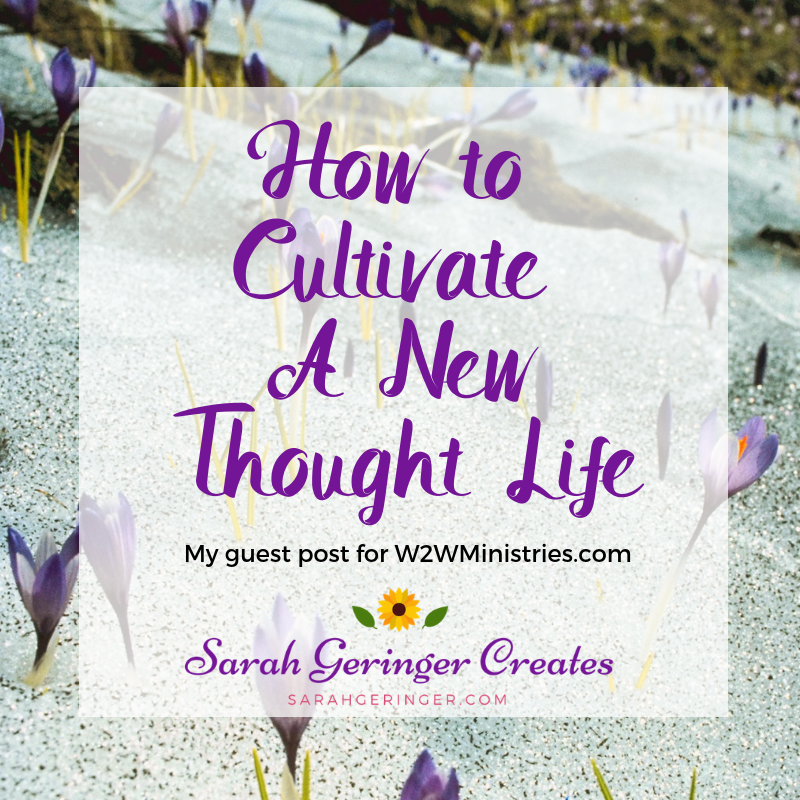 If you're like me, you want to change your thought processes. The ones that keep you stuck in negative cycles. The ones that hold you back from becoming the woman of God you want to be. It takes too much effort. My thought patterns are deeply ingrained. My thought patterns are too shameful. Friend, I have found the key to overcoming problems in my thought life through Christian meditation. God is helping me make changes in areas I thought were impossible to change before. Meditating on God's Word is so simple, yet it can have a profound effect on your thought life. All you need is a Bible or Bible app. By thinking carefully about God's Word and how it applies to your life, you can have greater peace in your thoughts and make lasting changes. I hope you find greater peace in your thoughts today by meditating on God's Word! 1. Which area of your thought life needs God's peace the most? 2. Which verse in God's Word will you meditate upon this week for greater peace?